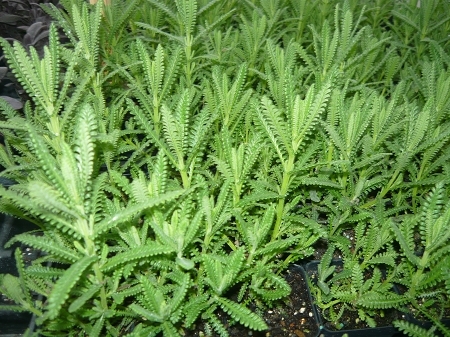 French Lavender (dentata) -Good lavender variety for growing indoors in containers. Camphor scent. Green leaves are toothed and upright. Large and fat pale purple flower bracts. Perennial zones 8-9. Live plant in 3 inch container. My lavender still looks as good as the day it arrived almost a year later, excellent product and customer service. I cannot say enough good things about this company!